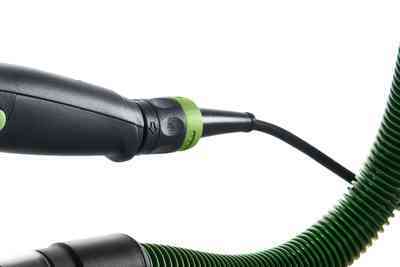 Power and ease of operation in perfect harmony. 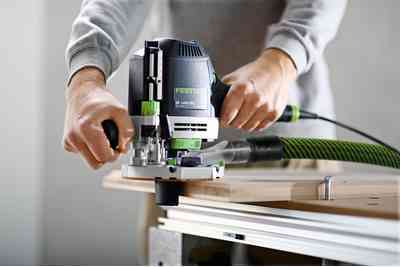 The handy multi-talent: The OF 1400 router weighs just 4.5 kg – one of the lowest machine weights in its class. 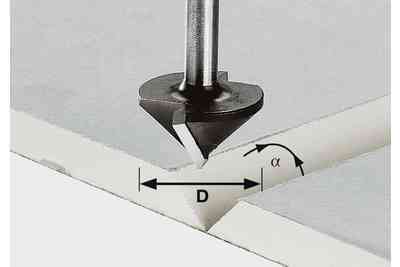 The 70 mm routing stroke is impressive when making recesses for fittings or routing with templates. 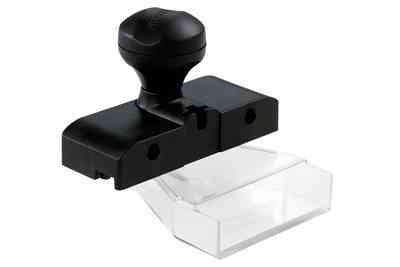 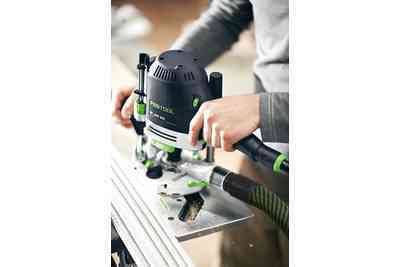 It also has a comprehensive set of equipment that enables it to master virtually any routing task. 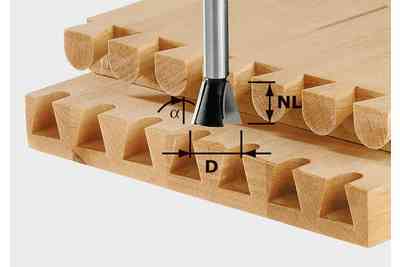 Absolute precision – double-sided column clamp makes the router extremely torsionally rigid, guaranteeing perfect routing results. 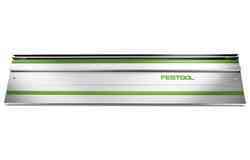 Lightweight with 70 mm routing stroke. 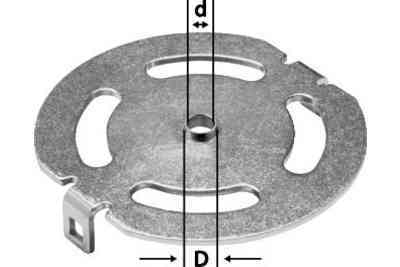 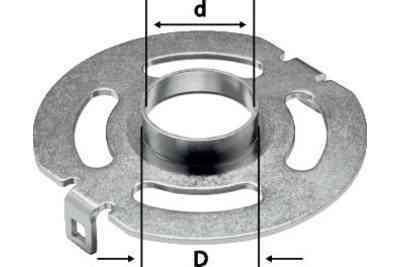 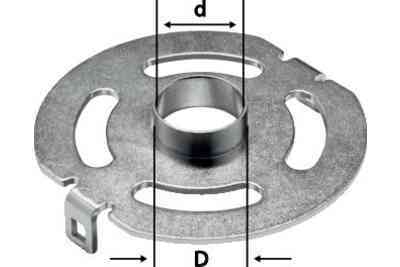 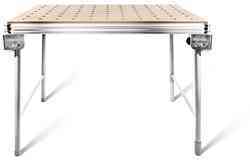 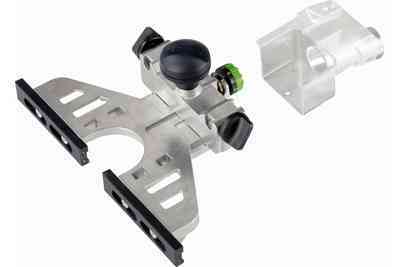 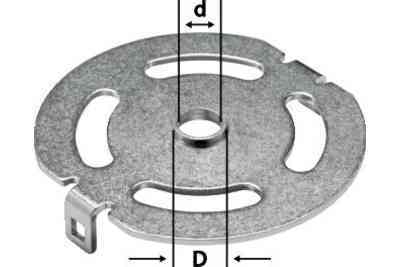 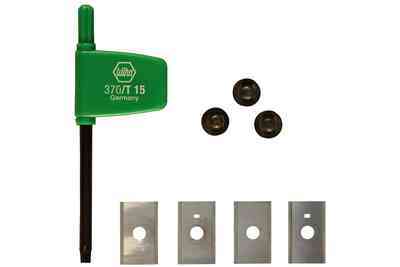 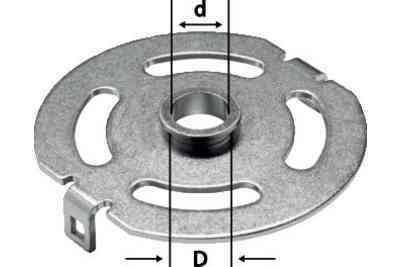 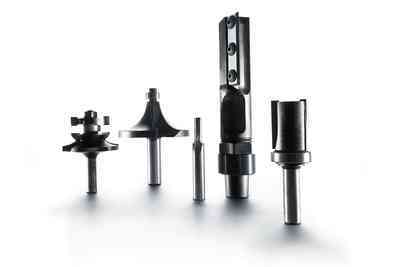 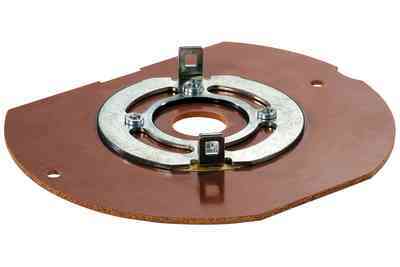 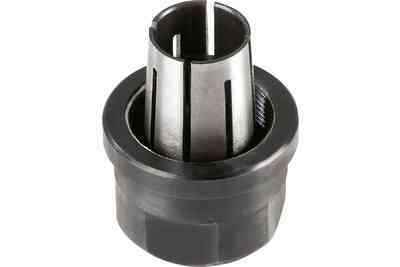 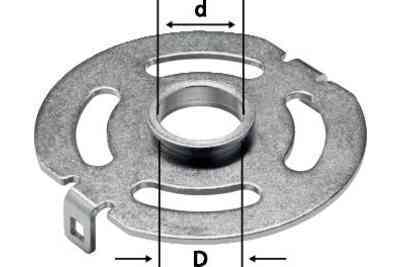 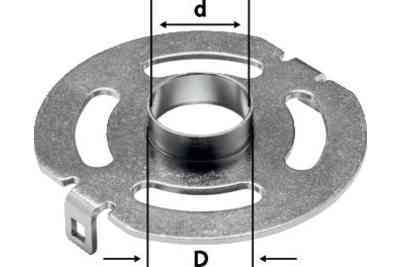 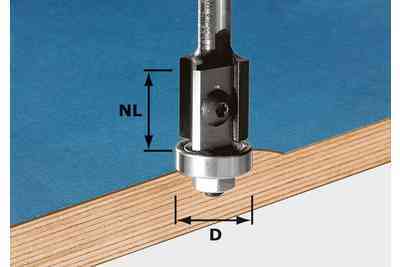 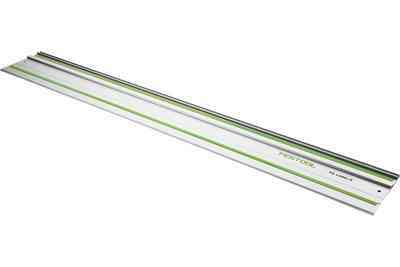 Particularly useful when making recesses for fittings or routing with templates. 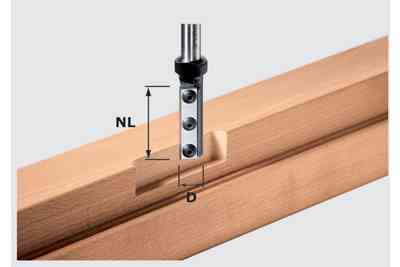 The OF 1400 is clamped to both guide columns. 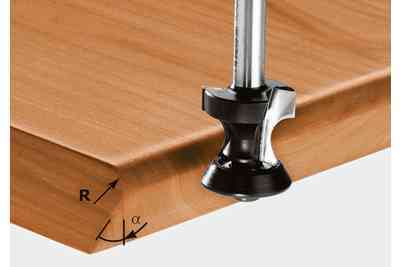 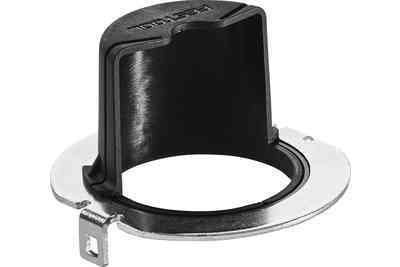 This means that the router is secured in place with absolute torsional rigidity. 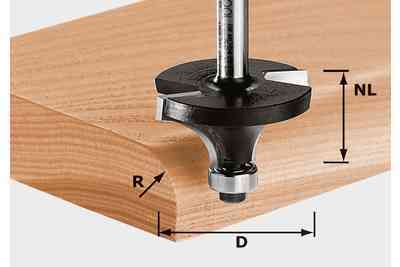 The routing result is perfect. 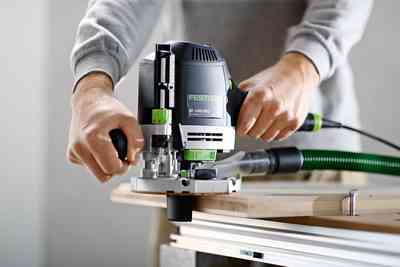 Time-consuming rework is a thing of the past. 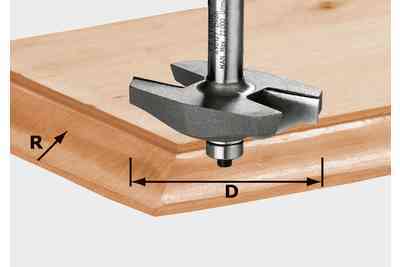 Because of the long 70 mm routing stroke, working with large routing depths and templates or making recesses for fittings is particularly easy. 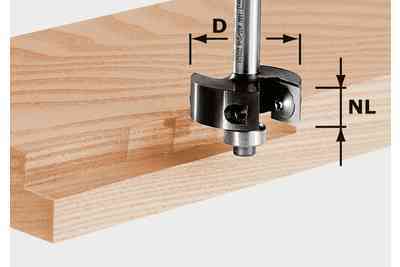 The OF 1400 router has a precise depth adjuster. 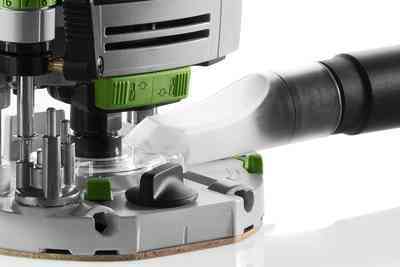 It takes just a few seconds and minimal effort to finely adjust the routing depth accurate to a tenth of a millimetre using the dial. For an unobstructed view of the workpiece and a healthy working environment, the OF 1400 has an integrated extractor connector. 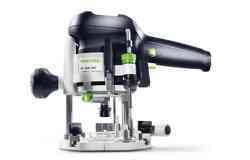 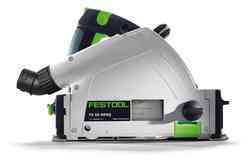 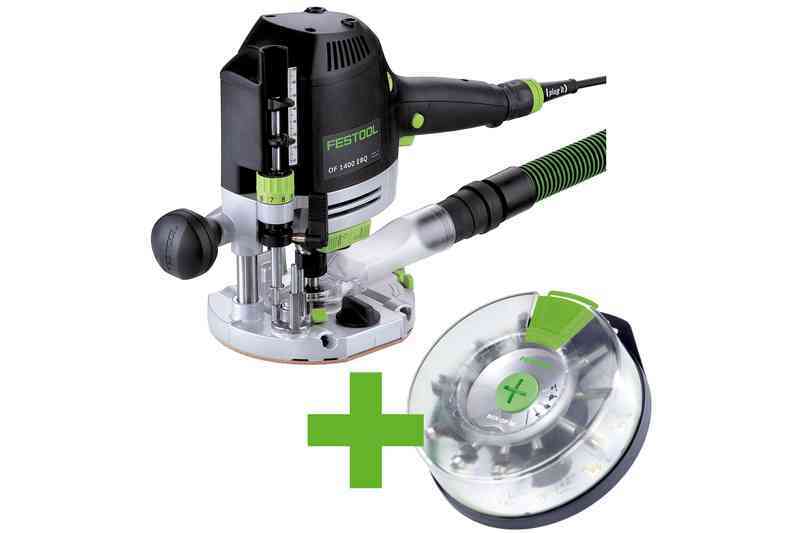 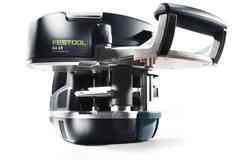 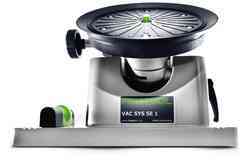 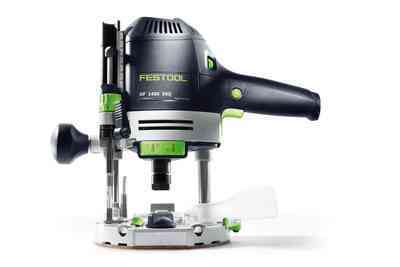 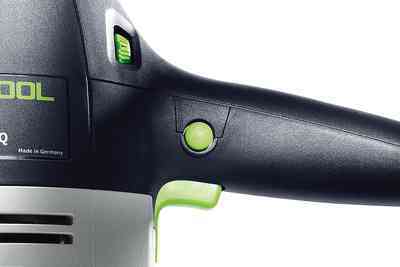 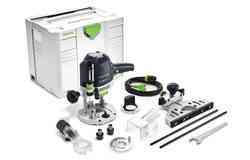 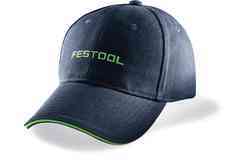 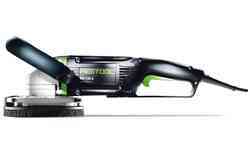 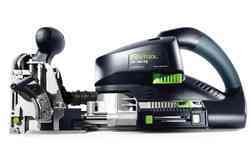 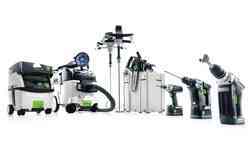 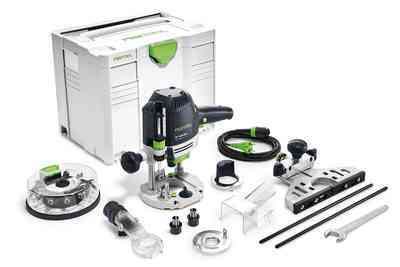 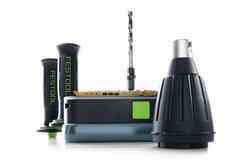 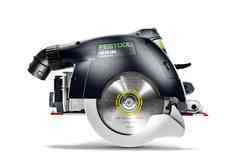 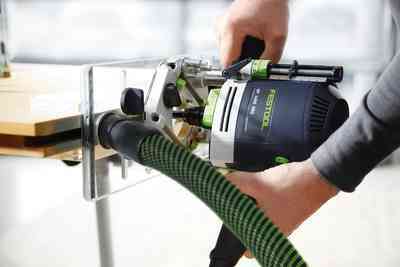 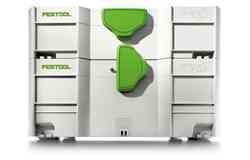 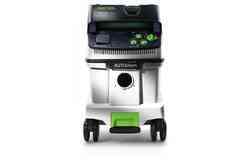 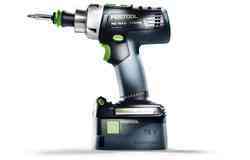 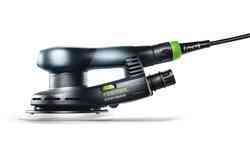 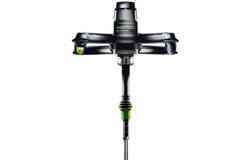 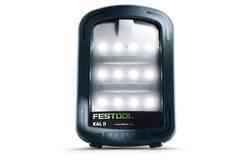 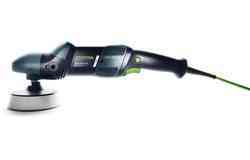 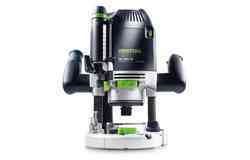 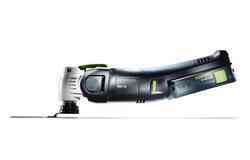 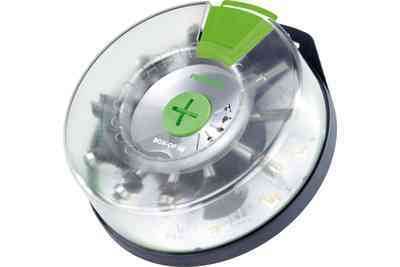 Simply connect a mobile dust extractor from Festool for clean work. 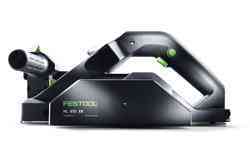 The on/off switch and infinite speed adjustment can be operated without changing your grip. 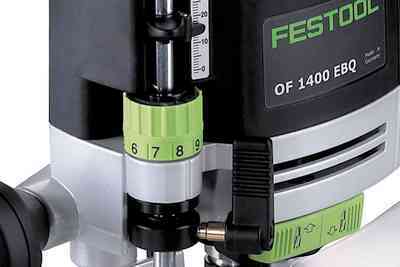 This means that the OF 1400 sits safely and securely in your hand at all times. 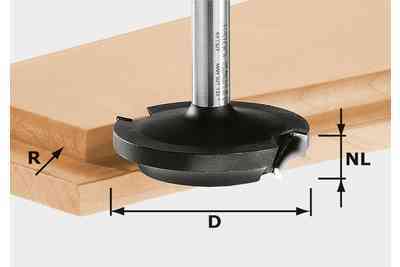 Low weight – low exertion: Even when routing edges, the light weight in combination with the ergonomic rod handle is ideal for guiding the OF 1400 router safely by hand. 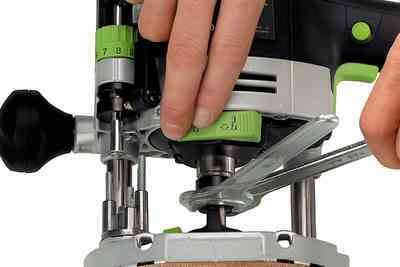 Both guide rods are fixed in place at the same time via a single rotary knob. 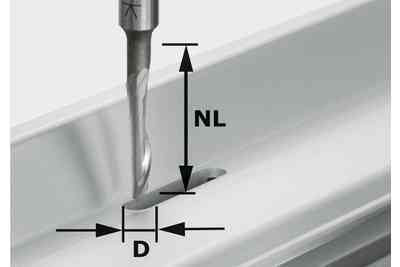 The parallel side fence can thereby be attached and detached in no time at all. 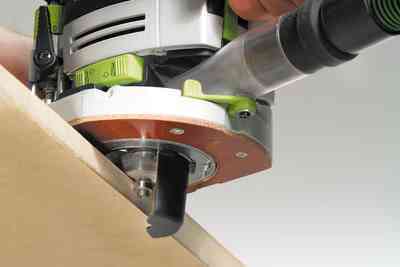 The convenient spindle stop with rocker and ratchet principle allows you to change the router at the speed of light without removing the key. 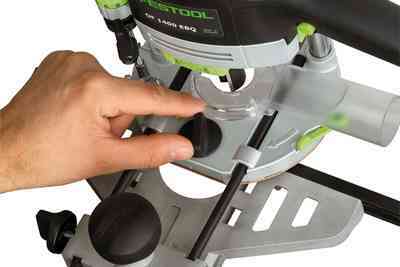 You can change the copying ring without tools. 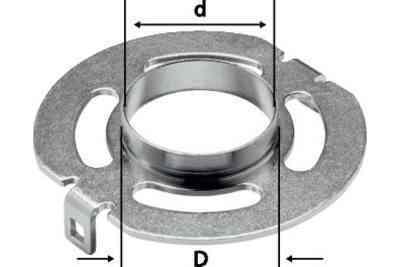 One click to release the ring – and replacing it is just as straightforward. 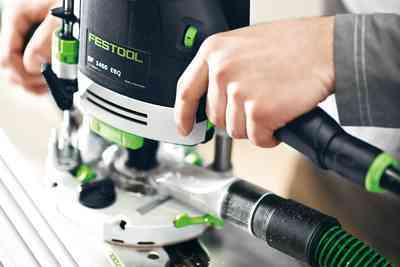 The quick stop brake ensures optimal safety when routing and the OF 1400 comes to a stop in seconds.